This Espresso Machine from Breville is the next generation in personal espresso technology. Featuring a touchable color screen, you can easily swipe and select to create barista-style favorites in your cup in less than a minute. 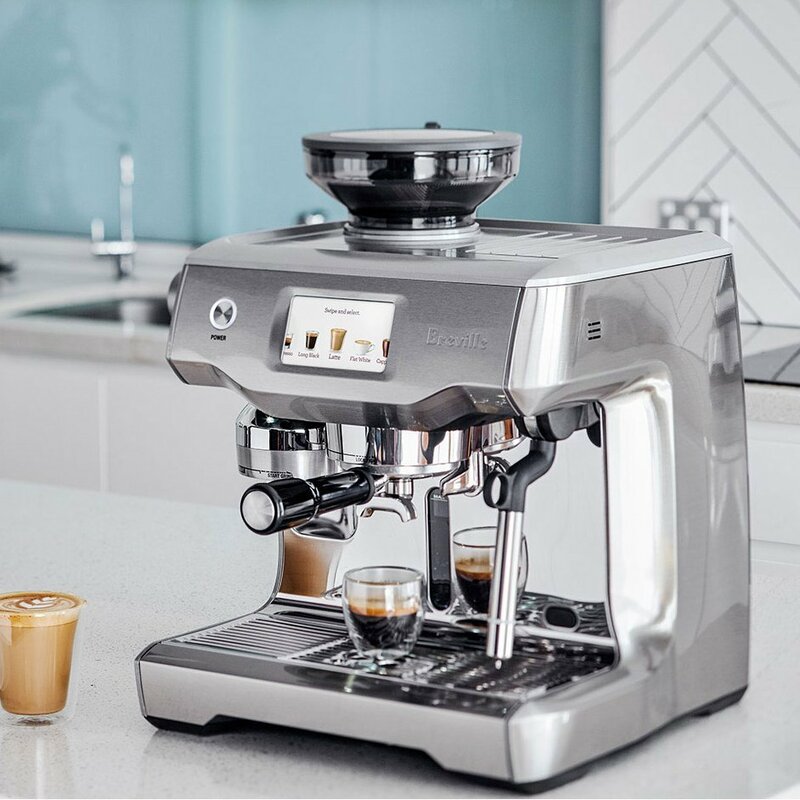 The Breville Oracle Touch can turn any amateur coffee enthusiast into a seasoned pro, through simplification of two of the most complex aspects of making quality espresso drinks - dosing and steaming. Groundbreaking technology in this commercial-grade espresso machine allows for automatic grinding, tamping, and dosing to ensure full-bodied flavor every single time. Create latte art just like your favorite baristas at Starbucks, using the hands-free steaming to deliver the silky smooth micro-foam. The Oracle Touch espresso machine measures 17 inches deep, 17.75 inches high and weighs 35 pounds.